Posted by Sara Powers on April 3, 2018 at 8:30 AM. Filed under LED Lighting, News . 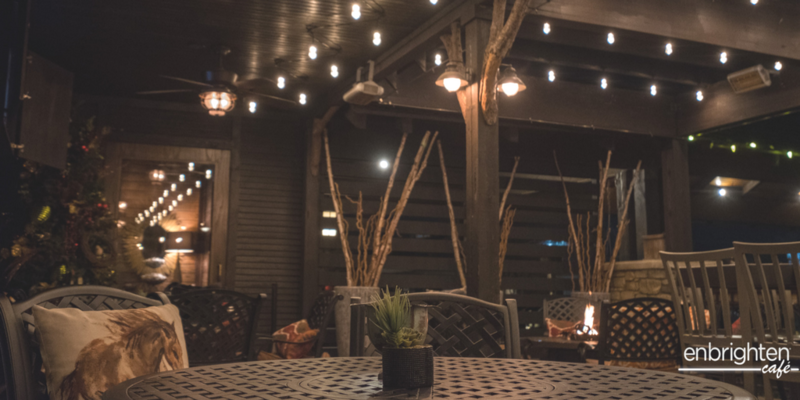 Who doesn't enjoy hanging out on a good patio with friends or family, especially under the warm glow of cafe lights. 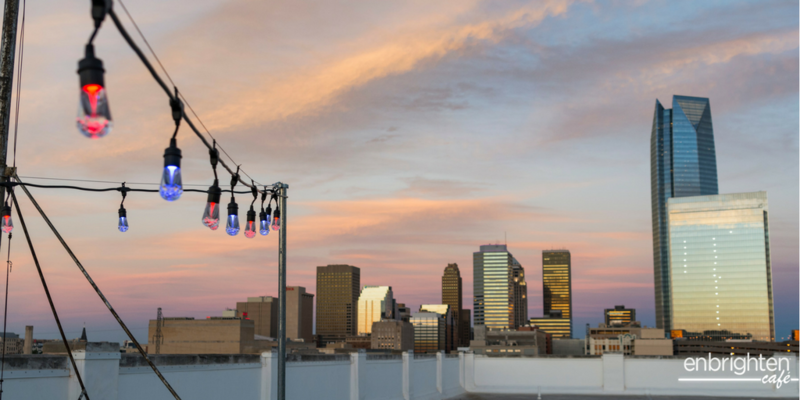 The coolest patios are usually never without those trendy yet charming cafe lights lighting up the patios of restaurants, parks and local bars. 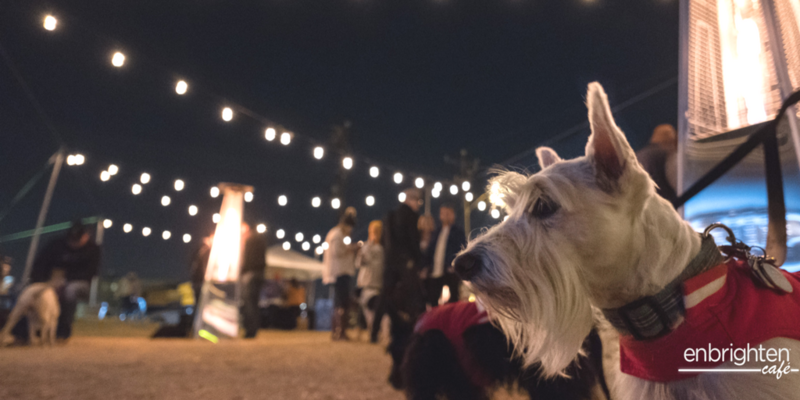 Nestled in the heart of Midtown in Oklahoma City, Bleu Garten is one of OKC's favorite food truck parks. You can find families, kids, and all kinds of dogs hanging out here when the weather is nice. 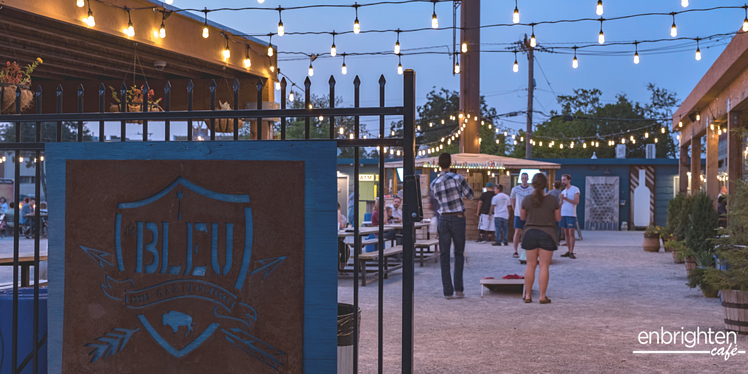 Bleu features a huge outdoor bar, rotating food trucks and fun for people of all ages. 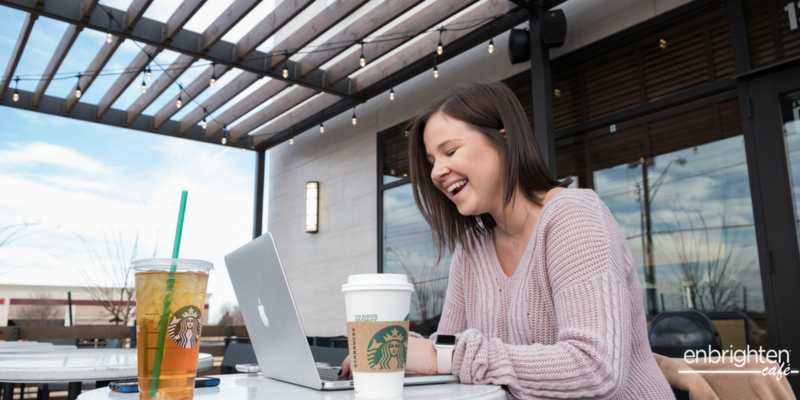 Coffee and tea are the drinks that get us through the day, and what better place is there for coffee than Starbucks? This particular Starbucks just opened in the up and coming Chisholm Creek area in north Oklahoma City. There's nothing quite like having a refreshing drink on the patio with your favorite book underneath the warm ambiance of cafe lighting. Midtown Mutts is located in the trendy Midtown district in OKC. This is a great place to bring your dog to run around and make some friends. Midtown Mutts occasionally hosts events for dogs too, like bringing in Santa for dogs to take pictures with! Another great perk of Midtown Mutts? It is walking distance to Bleu Garten. So after you wear your dog out you can go grab food and hang out on the patio. Cafe 7 is a staple in Oklahoma City for fast-casual but delicious dining. With fresh pasta, incredible pizza, salads and more Cafe 7 offers something for everyone. Dine underneath Enbrighten cafe lights with your friends or family inside the North May location. OKCollective is a local shop in Automobile Alley that makes unique handmade soy candles and other home goods. 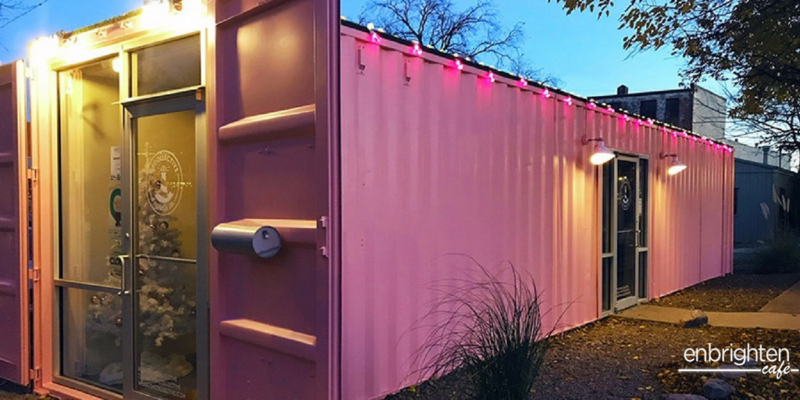 Not only are the products here unique, OKCollective's store front is just as unique, it's located inside an old, remodeled, pink shipping container. It is impossible to drive by this place and miss it - especially when they have their Enbrighten Seasons Cafe Lights turned on! The Ranch Steakhouse is one of Oklahoma City's premier prime steakhouses. Located in North Oklahoma City, The Ranch is a must for anyone that is craving an incredible steak and delicious sides. When the weather is nice, dining on the patio and under the ambiance of cafe lights is an unforgettable experience. 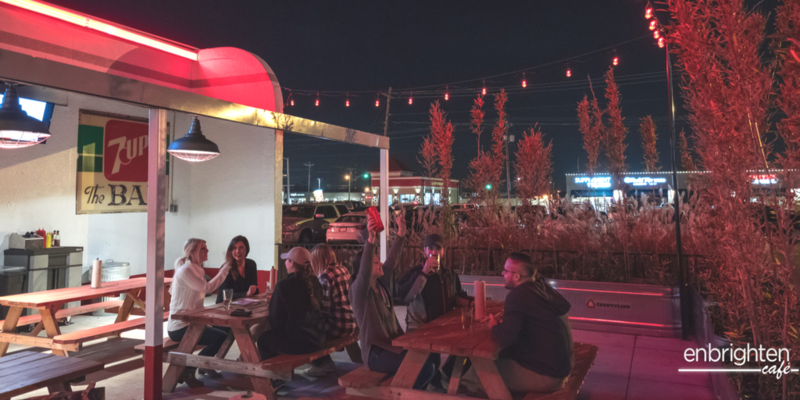 Next time you want to go to a fun restaurant patio, park or local bar in OKC make sure you stop by one of these OKC favorites! 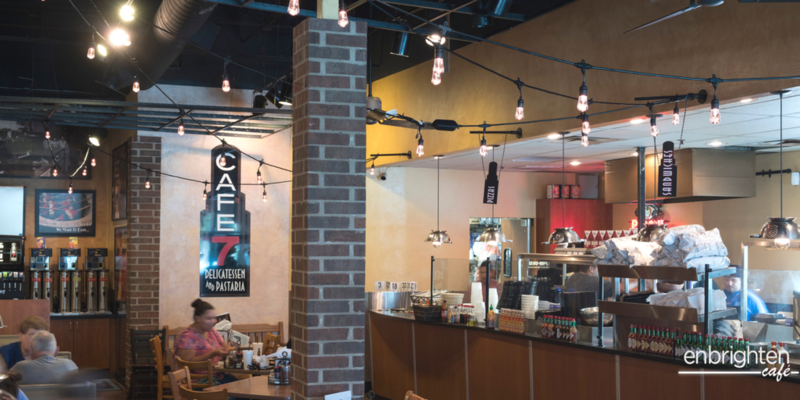 Interested in getting Café Lights for your restaurant, or commercial space? Contact Sara Powers (spowers@byjasco.com) for more information on Jasco's partnerships and special offers for local businesses.